The orchestra rehearses weekly at school and has a complete open door policy: even a child who has never played an instrument before is welcomed and is immediately shown how to play the xylophone or glockenspiel, and how to read an easy musical part. 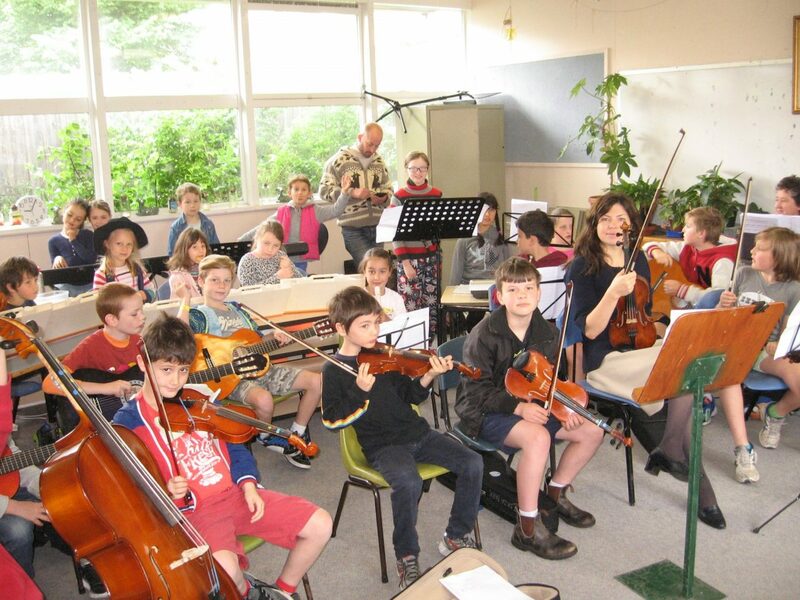 The orchestra consists of about 25 children from Foundation to year 6, playing violin, cello, guitar, keyboard/piano, xylophones, glockenspiels and other percussion. As well as several volunteer parent helpers, we have a highly-qualified paid conductor. The orchestra performs at school assemblies and at the school fete, at the annual whole school “Celebration of the Arts”, at the Boroondara Eisteddfod, at local combined school concerts including the Bay Street Festival, and at a local MECWA nursing home. We also are proud of our links to the local indigenous community, having an ongoing collaboration with local Yalukit Willam elder Carolyne Briggs in performances of the Bunjil Totem Song in the local Boonwurrung language. Your donations will go directly toward the conductor’s fees for semester 1, 2019, and will enable the St Kilda Park Primary School Orchestra to be truly inclusive. 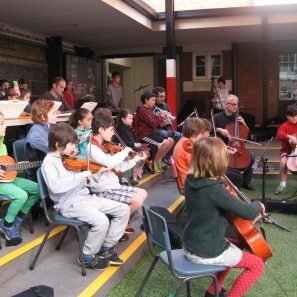 The St Kilda Park Primary Orchestra was formed by a group of volunteer school parents in 2013. Comprising about 30 children from all grade levels, the orchestra welcomes all members, regardless of musical ability, and involves them in high quality music making through weekly rehearsals and numerous performances at school and in the local community.